“We cannot wait for favors from Nature. The Russian countryside bore the chief burden of rapid industrialization. The traditional Russian village was destroyed. Large-scale collective farms appeared in every nook and corner of the huge country. By 1940, 97 percent of all peasant households were united into collectives, and private ownership of property virtually disappeared. 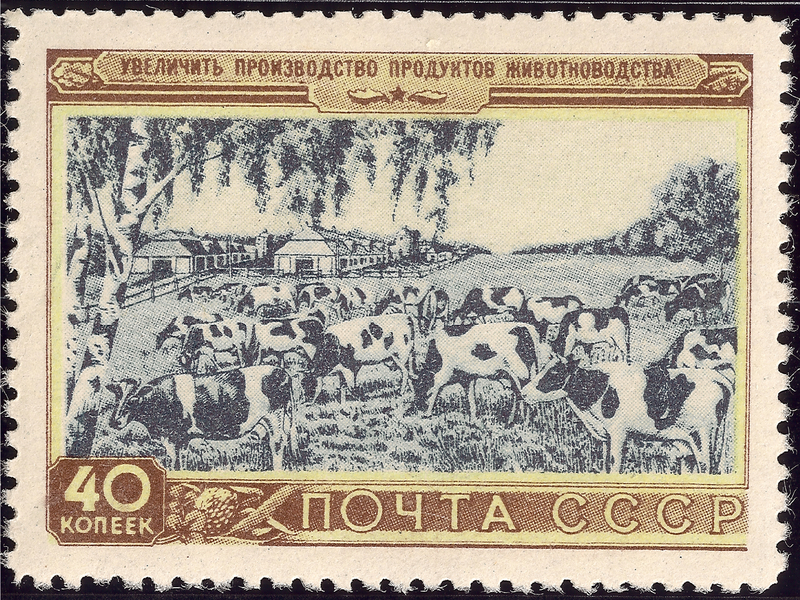 In spite of the hugely advertised successes of collective farmers, Soviet agriculture never recovered from the losses of forced collectivization. 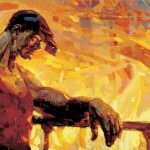 Ivan Michurin embodied a Soviet dream of subordinating nature to human needs. His work focused on changing genotype of plants. A talented scientists and gardener, he was dedicated to bringing new plants to Northern Russian climates. Michurin created over 300 fruit and vegetable hybrids, some of which have spread across Russia. His newly developed hybrids of apples, pears, plums, apricots, and sweet cherries survived cold Russian winters and prospered. All-Union Agricultural Exhibition Set. All-Union Agricultural Exhibition. 1939, Aug.. USSR. Scott#725-7. Private American Collection.